Do You Want To Buy a House Someday, or Save Money By Lowering Your Car Payments? If so, then this book is your answer because it will give you step-by-step instructions to rapidly raise your credit score. Imagine How Much Time, Money, and Stress You'll Save Yourself By Learning and Applying The Credit Repair Secrets. This is all really well worked out and structured book on rescuing your credit score. There are so many areas that I didn't know at all or wasn't aware they were so important. It was nice to get some myths dismissed about the credit score in particular things that the bank doesn't actually know - such as any banks that have denied you credit in the past. What I didn't realise too, was that you can have multiple credit scores or that credit repair companies are not worth bothering with. The author also tells us what our credit scores are made up of and in what percentage having seen this my credit score makes a lot more sense. 5.0 out of 5 starsFull of great information! I have been trying to get my credit score up and wasn't sure how until I got this book. This book is loaded with information on how important your credit is and how to build or rebuild your credit. I found all of the tips in this book very useful and I am going to start using them to build my credit back up. I am usually late on my car payment and I had no idea that would affect my credit score, but I am so glad I know that now so I can be sure to be on time every month. This is a great book filled with very useful knowledge. I think new, young professionals and those who are having troubles with their finances would get a lot out of this book. There's simple information, but a lot of it. It focuses on scams of credit repair companies, the differences between reports and scores, and insurance companies version of a credit score. Most helpful, however, is probably the section about how to calculate your own score by keeping records. I'm excited for the other titles this author has coming out! A comprehensive guide to understanding credit scores. To rebuild, your credit you must first understand how credit works. The author tells you everything you need to know about your credit. 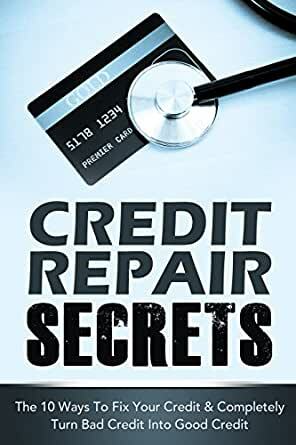 After explaining how credit works, the author gives you tips on how to rebuild and repair your credit. The author addresses different credit issues also. If you need help with your credit grab this book, it will get you started.